This post was sponsored by OxiClean™ through their partnership with POPSUGAR Select. All opinions are my own. For the last 5 years, I have purchased over 4 bedding sets and they’ve all been white. Four out of the 5 bedding sets I’ve had in my marriage (almost 10 years!!!) have been white. Problem: I have 4 rambunctious little boys who manage to get the most bizarre stains on my bed. Dirty little toes, fishy crackers, apple juice, leaky sippy cups, you name it. For the last few years, I’ve only purchased white bedding because it’s the only color (is white even a real color?) that I can keep completely clean and fresh looking. Whenever I’ve had colored bedding, I’ve had to wash it often and the color always fades and looks dingy after a few washes. 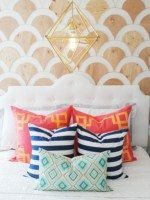 Here’s the problem… when I have white bedding, I can bleach it as needed to keep it fresh and bright looking BUT the biggest issue is that after you’ve bleached fabric a lot, it tends to yellow over time and sometimes even has a funny smell. Super annoying! 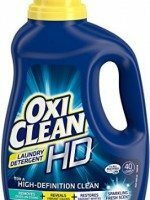 Recently I’ve been super excited because I’ve been using OxiClean™ ‘s new laundry detergent. You guys, I love it!!! 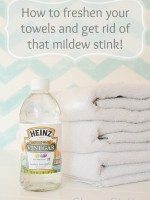 The first time I used it my husband took the clothes out of the washer and even commented that the laundry smelled SO good! 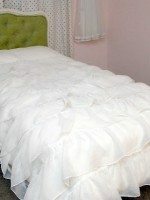 My bedding is bright white, stays bright white and looks brand new even after several washes. Also, it smells SO good and who doesn’t want to climb into a fresh, clean bed?! I know I do! 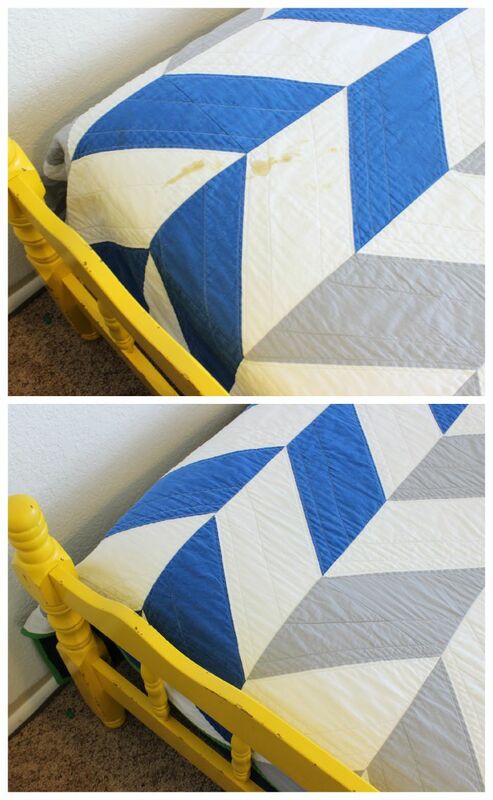 I even tried it on an old “surprise” stain on my son’s bedding. Surprise stains are stains that I don’t even want to know or guess what caused the stain, all I want is the stain gone! This happens a lot with 4 little kiddos in the house. It worked so well! I was super pleased that all I had to do was throw it in the wash with one cap full of detergent, nothing else, and the stain was completely gone. You can’t even tell where it was. This new detergent left my bedding bright and white, without the use of bleach- it’s basically magic! OxiClean™ is an all-in-one solution for all different kinds of laundry that helps save time since it only takes one wash and saves you some money because you don’t have to buy any additional additives. 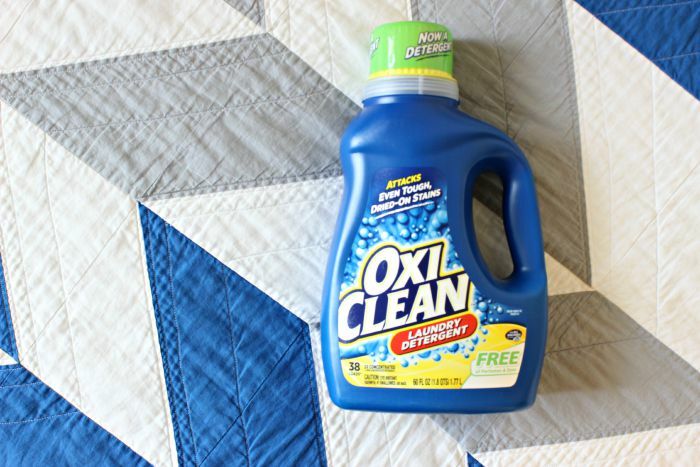 OxiClean™ Laundry Detergent is all you need for fresh, bright, clean laundry and I’m hooked. Please follow manufacturer directions for your garments. 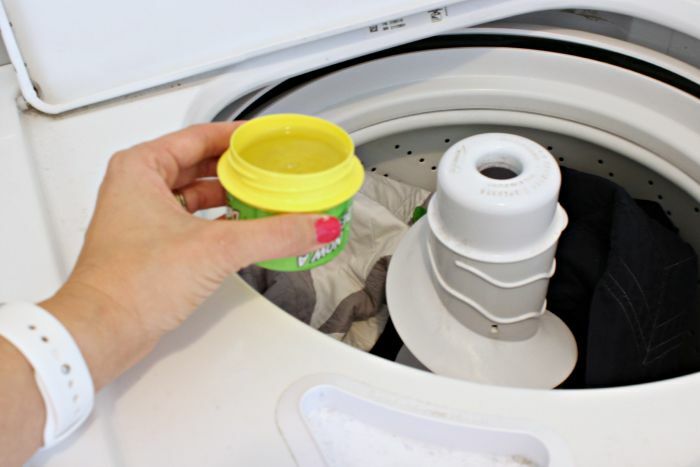 For best results, pretreat stains with laundry detergent, wait 5-10 minutes and then wash. I used to only buy white bedding, I just loved the feel of it. Something so luxurious about being buried in piles of white. Glad you have a great solution for keeping it all neat. Not only is it easier to clean but you can change your bedroom decor much easier and less expensively (I.e., the latest superhero comforter)! It’s a good thing buying white bedding. You can easily locate dirty parts on it and wash it directly. Just like this blog. When it comes to keeping it neat and clean, this blog sure knows how to make it simple. 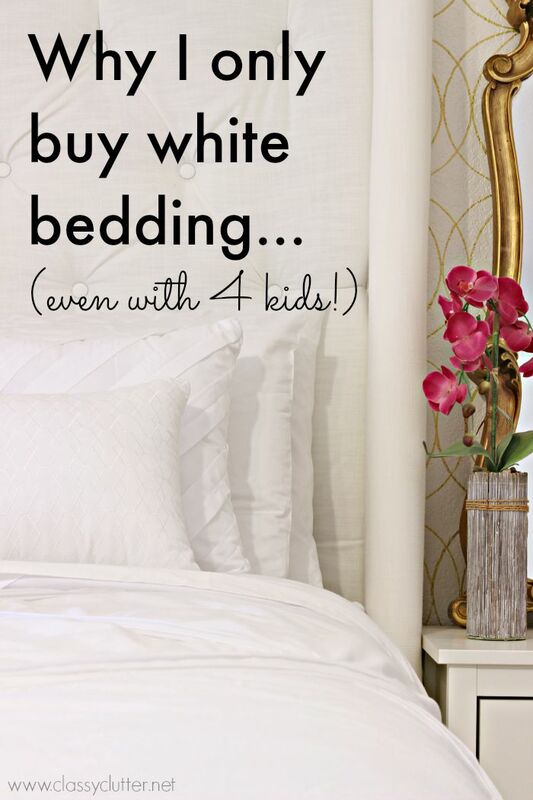 With these helpful tips, you’ll never worry about your white bedding anymore. An awful lot of advertising for Oxi-Clean on this blog!